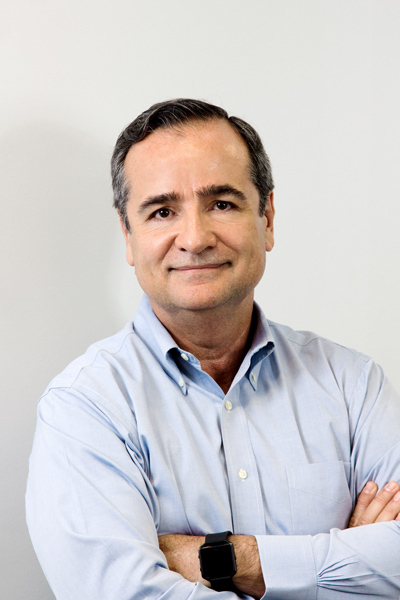 It’s been a little more than a year since Hispanic Executive spoke with Fernando Torre, chief operations officer of leading soft contact lens manufacturer CooperVision. A lot has happened in the intervening months, but one thing that hasn’t happened is stagnation, not on Torre’s part and not with the company at large. One thing that has happened is that Torre’s job title has changed, from executive vice president of global operations and regulatory affairs to chief operations officer. While the new title leaves the mouth much more quickly, it carries with it a sense of corporate prestige. The company itself has continued its impressive growth—sometimes at two times the overall market-growth rate—and gained significant market share. CooperVision has been the number-three contact lens company for a while, but now it’s edging its way to number two. The stock price has been climbing for a while, too. Torre says there are multiple reasons for this success. A year ago, the company was just starting production in its Costa Rica plant. That plant is now a fully operational, high-volume plant with four hundred employees and plans to double its production capacity soon. Yet Costa Rica is only one example of the company’s growth. In the past four years, the company has implemented a huge push to expand its manufacturing capacity, with the expansion of existing plants in Puerto Rico, the UK, and Budapest, Hungary. Europe is the latest market in which the company has begun to thrive. As of press time, its European sales were actually on par with its sales in North America, which has always been its biggest market. Over the next twelve months CooperVision is rolling out a further expansion of its distribution capabilities in Europe. It is expanding its main distribution center in Belgium to support the core European countries and building a new distribution center in Madrid to better serve Spain and Portugal. It’s also starting the implementation of a new distribution operation in Hungary that will eventually support all of Central Europe. As COO, Torre plays a big role in supporting CooperVision’s growth. He’s responsible for all the company’s manufacturing and distribution operations worldwide. He manages the global supply chain as well as the development of new manufacturing technology. He is also a leader who is always thinking about the impact of his organization on the company as a whole. The latest product family the company has been concentrating on is its portfolio of silicone hydrogel daily disposable lenses. “Silicone hydrogel” refers to a new class of oxygen-permeable contact lens materials that came to market more than ten years ago in lenses meant to be used for two weeks or more, but these materials have only recently begun to catch on for daily disposable lenses. As opposed to lenses that people keep wearing for as long as a month, daily disposable lenses are only used once. Improvements made by CooperVision’s R&D and manufacturing teams have allowed the company to produce these oxygen-permeable materials at a cost that matches older daily-lens materials. Many eye-care professionals prefer the daily lenses because they are more hygienic, and for many individuals they are preferred as a lifestyle choice. Thanks to big improvements in the silicone hydrogel materials and in its manufacturing processes, CooperVision is now a market leader for silicone hydrogel daily disposable lenses, the fastest-growing segment in many markets.